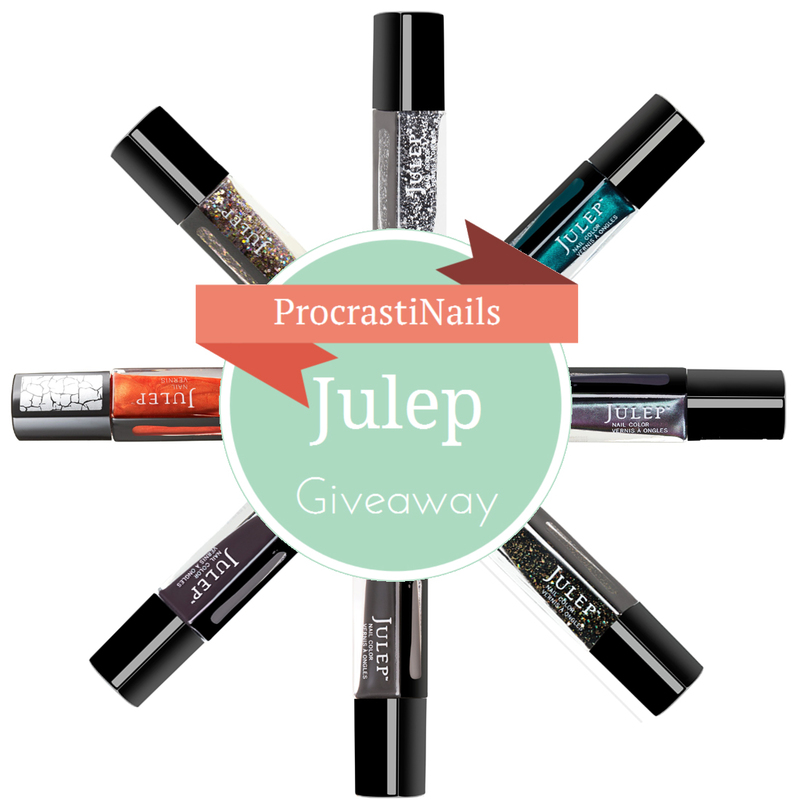 Julep Blakely: A purple/green/copper/blue multichrome. Julep Sabrina: A zesty orange shimmer crackle with a hint of pink duochrome. Julep Beatrix: A coal black and gold multidimensional glitter. Julep Fiore: An espresso brown crème. Julep Angela: A deep sea blue/purple duochrome. Julep Daria: A dark slate grey crème. Open to anyone 18+ (or with parental permission) in North America (Canada and the US). If you live elsewhere but have an address I can ship to in either of these countries that's acceptable as well. See Terms and Conditions on widget for full details. I'd love to hear which polish from the 8 you'd like to get your hands on most! Thanks for entering, and good luck! They are all beautiful, but Paris would have to be my favorite. Thank you for the opportunity! Agreed, Paris is one of my all-time favs. :) Thanks for entering, good luck! !